Your bank may penalize you for withdrawing your IRA CD early. 1. Can You Roll an IRA Before It Matures? 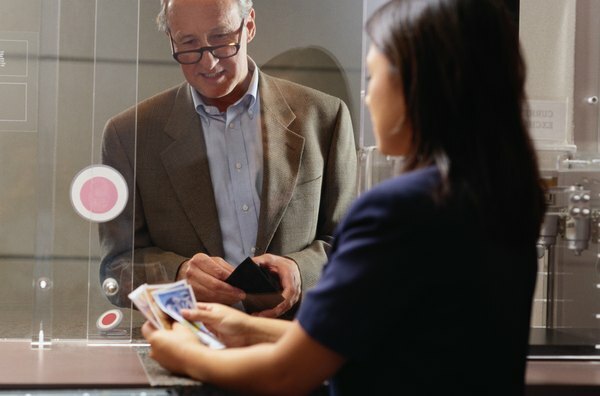 Whether you're tired of the customer service or you just want higher returns, you can move money from your existing IRA certificate of deposit to another IRA CD at another financial institution. As long as you complete the transfer, the Internal Revenue Service won't hit you with penalties, but your financial institution might. Typically, banks charge an early withdrawal penalty for distributions from a CD, regardless of whether it's also an IRA. For example, if you invested in a five-year CD with your IRA funds and only two years have passed when you transfer the money to another IRA, Uncle Sam won't penalize you but your bank usually will. According to Bankrate.com's CD survey, you could lose about 90 days' worth of interest on CDs with terms shorter than one year, and about 180 days' worth of interest on CDs with terms of one year or more. In some cases, you might be able to avoid the bank's early withdrawal penalty. According to Yahoo Finance, most banks waive the early withdrawal penalty on distributions from an IRA after you turn 59 1/2 years old. However, in some cases, a bank might refuse to release your funds early at all, if your CD has not yet matured, even if by IRS rules you're eligible for a qualified distribution from your IRA. It's therefore important to understand your financial institution's rules before opening an account. The regular IRA transfer rules apply whether you're moving CDs or any other IRA asset. With a direct transfer, you tell your IRA custodian where to move the money by completing a transfer request form and it gets moved automatically. The transfer request form requires the details of both your current IRA and the IRA you want to move the money to. You don't even have to worry about reporting it on your taxes because you never touch the money and there's no limit to the number of direct transfers you do each year. If you use a rollover to move the money from one IRA to another, things can get a little messier. You take the distribution from your first IRA CD and then you must deposit it in another IRA within 60 days. Miss that deadline, and it becomes a permanent distribution. In addition, even though you won't get taxed just for moving it from one IRA to another, you have to report it on your taxes. Plus, you're limited to one IRA rollover per account during any 12-month period. How Many Times Can I Move My IRA Account Every Year? Can an Existing IRA Be Transferred to Two Custodians?